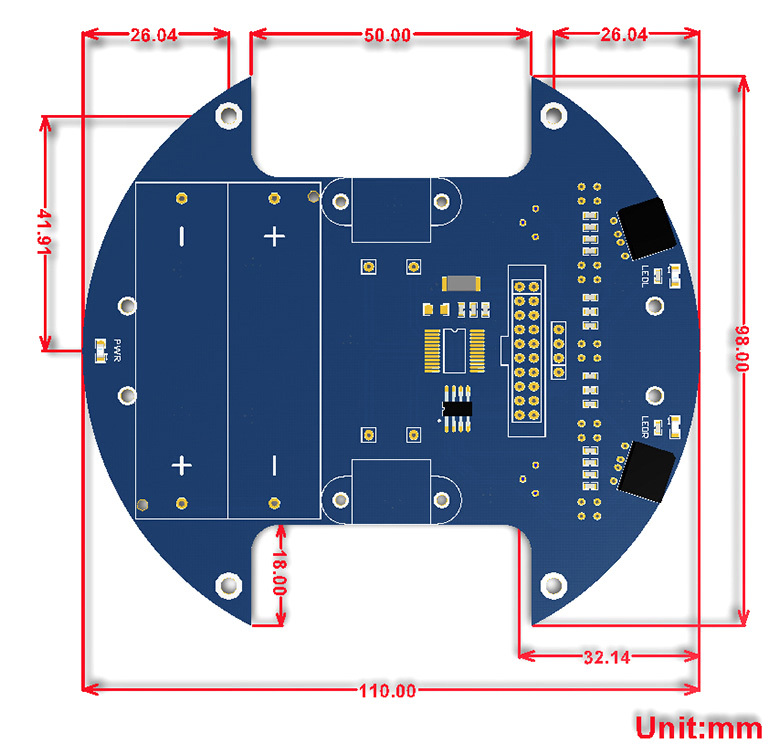 Thanks to the highly integrated modular design, it is fairly easy to assemble by a snap, no soldering, no wiring. After a few minutes spent on hardware assembing, you’re almost there, our open source demo codes is ready to help you get started fast. 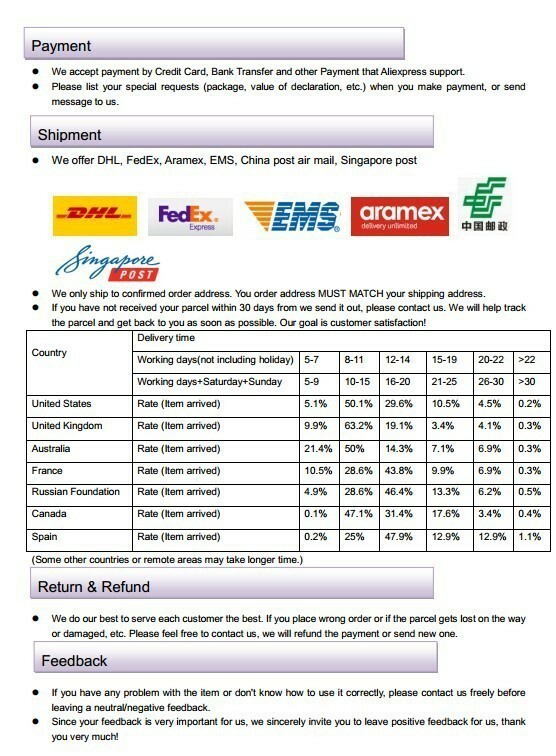 Note: photos are FOR REFERENCE ONLY, the other boards/modules/accessories are NOT included in the price. 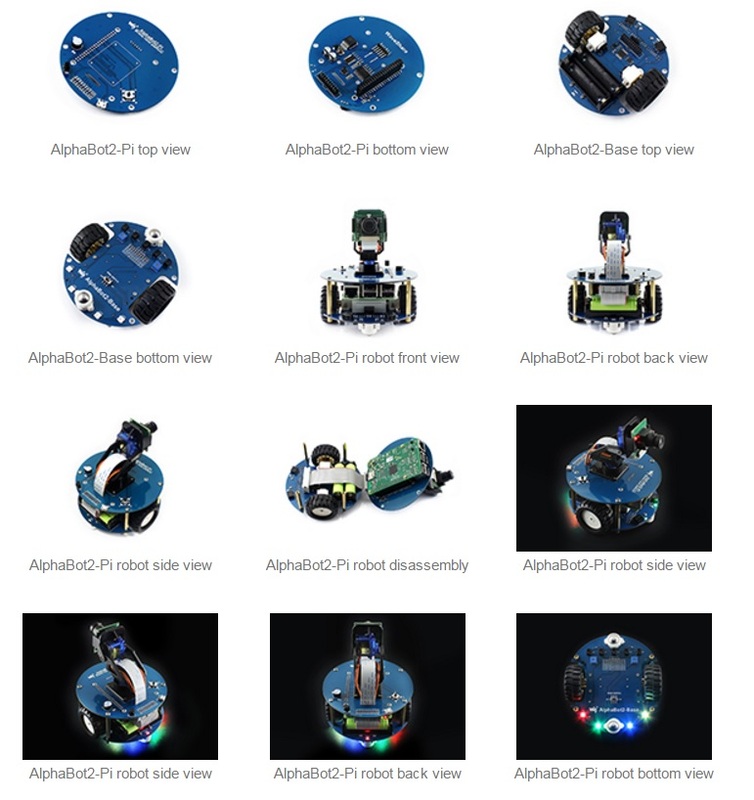 AlphaBot2-Ar Acc Pack requires an Arduino compatible controller, if you don’t have one in hand, please consider the all-in-one kits: AlphaBot2-Ar. 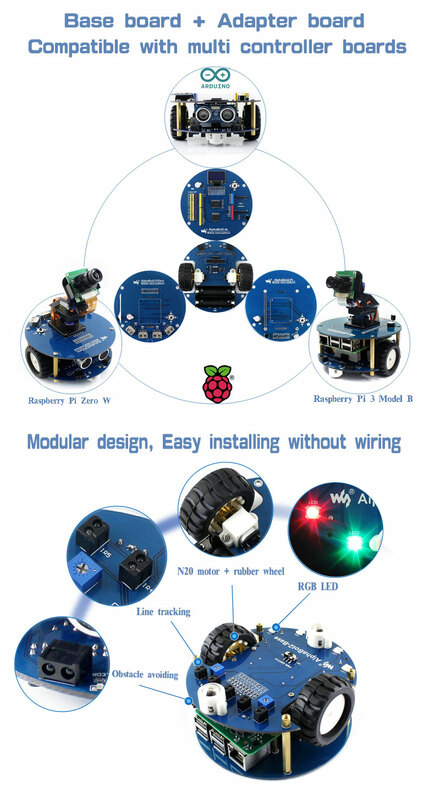 AlphaBot2-Pi Acc Pack requires the controller Raspberry Pi, if you don’t have one in hand, please consider the all-in-one kit: AlphaBot2-Pi. 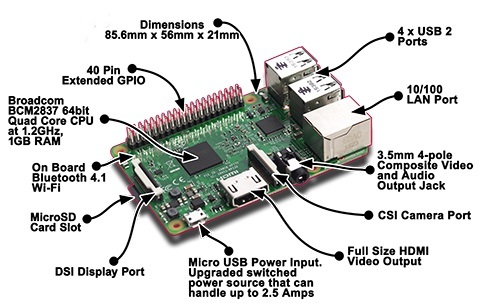 AlphaBot2-PiZero Acc Pack requires the controller Raspberry Pi Zero/Zero W, which should be purchased separately. 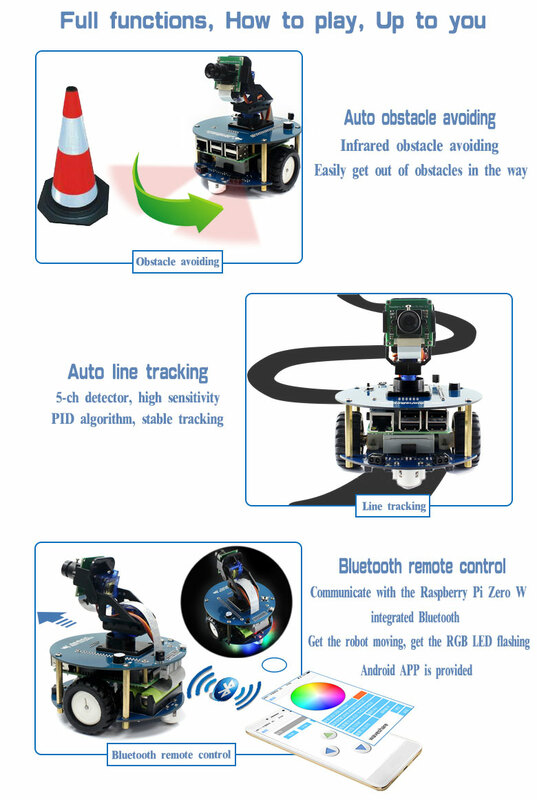 Due to the structure design, ultrasonic sensor module can NOT be used with the AlphaBot2-Pi kit. Note: this product requires two 14500 batteries to work, which are NOT included and should be purchased separately.